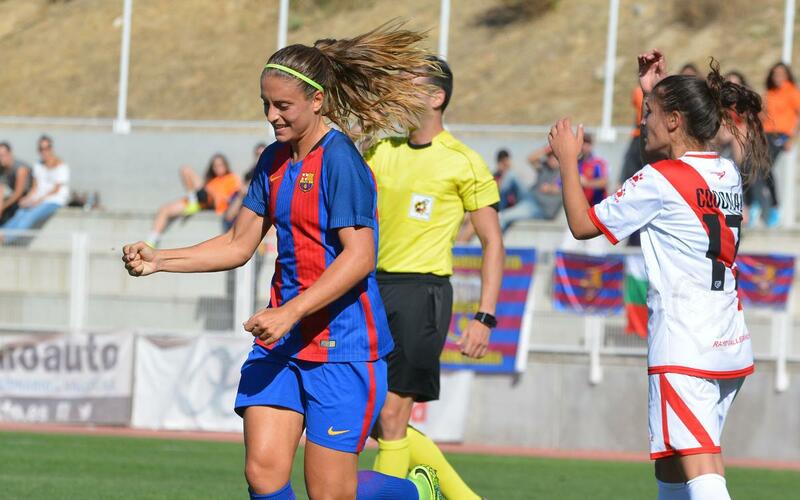 FC Barcelona Women made if four wins from their opening four league encounters with a 4-0 victory away to Rayo Vallecano. Although the scoreline suggests an easy day at the office, it took a while for Barça to get going. Alexia made the breakthrough on 40 minutes, latching on to Marta’s cross to score. But after the opener, it was all Barça, and the same player made it 2-0 moments later. On the hour mark, Alexia claimed her hat-trick after getting on the end of another excellent cross, this time with Mariona Caldentey the provider, for her fifth goal of the season. The icing on the cake came through Ange Koko who, with her first official Barça goal, made it 4-0 to continue the side’s perfect campaign start.